A cross between a bustling thoroughfare and paradisiacal haven, Vilamoura has become Southern Portugal’s most visited marina, offering a selection of powdery sand beaches for travellers, swimmers, boating and fishing aficionados, and water sports enthusiasts. In fact, its golden sand beaches are its main draws, attracting thousands of tourists each year. 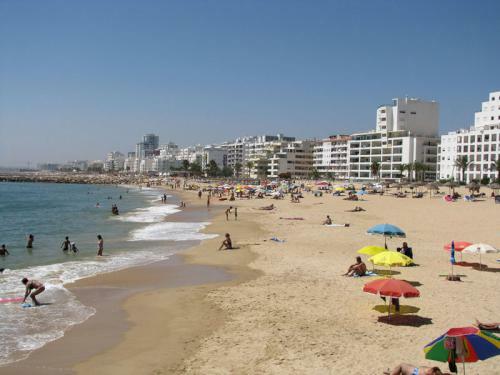 For a tour around the must-see beaches of Vilamoura and its neighbouring beaches, here is a quick and helpful guide. 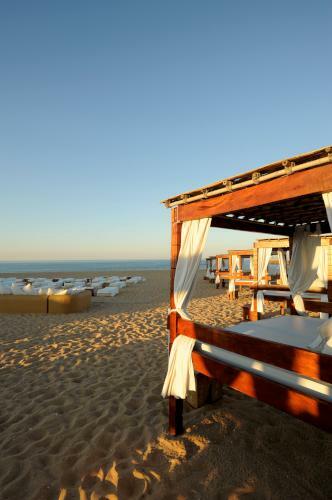 A stay in Vilamoura wouldn’t be complete without exploring its beaches. 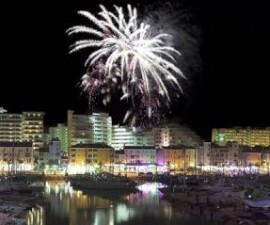 On the east side of the marina lies Praia da Marina or known to many as Vilamoura beach. Praia da Marina has the amenities that draw beach lovers within the area and from other places as well. Guests can enjoy reading, or drinking refreshing juices ordered from nearby bars while basking in the sun. At night, most especially during the golf seasons, expect parties on the beach where visitors can enjoy good music and drinks. 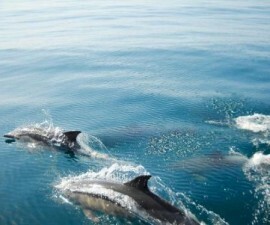 In addition, Praia da Marina makes a perfect place for water sports enthusiasts. Guests can enjoy all sorts of exhilarating water sports, including jet skiing, banana boat ride, and paragliding. 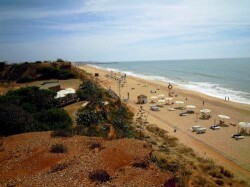 Parking is also never a problem in Vilamoura Beach, thanks to its spacious parking lots behind the coast. And because of its wide stretch of white sandy beach, Praia da Marina has plenty of top rated hotel beach resorts providing the best vacation packages to marina tourists. For visitors who find themselves in the western hemisphere of Vilamoura, Praia da Rocha Baixinha is the piece of paradise that stretches on and on to Olhos de Agua in Albufeira. This beach is known for its long boardwalk that extends across powdery white sand, overlooking the clear, shimmering seawater off the southern coast of Portugal. There are plenty of activities that guests can enjoy at Praia da Rocha Baixinha. Apart from soaking up in the sun or retreating to the cool waters at the beach, guests may also enjoy biking on the boardwalk while taking in the vibrant scenery of the area or having a long contemplative walks. For those who are in for an adventure, this beach offers a range of thrilling water sport escapades. From the popular parasailing and surfing, to the energizing Jet Ski rides, and from the riotous banana boat rides, to the soothing peddle ride — there is simply so much to do in Praia da Rocha Baixinha. Thirsty beachgoers who want to cool down after a long swim or sunbathing may also find refuge in the countless beach bars speckled along the Praia boardwalk. Moreover, visiting families will also not have to worry about letting children frolic about the sand and water since Praia da Rocha Baixinha is classified as an “Accessible Beach”, with trained lifeguards on the watch. There are also paid and free car parks near the beach, so visitors coming in will not have a difficult time parking their vehicles. Visitors who want to test the waters for daytime and night swimming will find an ideal spot in Praia de Quarteira, which is just a walking distance from Vilamoura. Stretching toward Faro, Praia de Quarteira features inviting waters that attract swimmers of all ages. Here, breakwaters were installed to minimize waves. Like the beaches in Vilamoura, Praia de Quarteira, provides top-notch resort services and facilities. 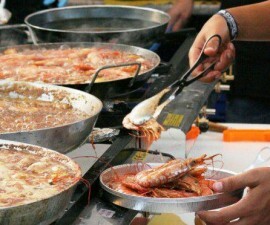 Visitors are only served the best local dishes, and provided with sunbeds, massages, and refreshments while relaxing. They can also swing by the terrific coffee shops and restaurants decked along the main walkway lined with palm trees. 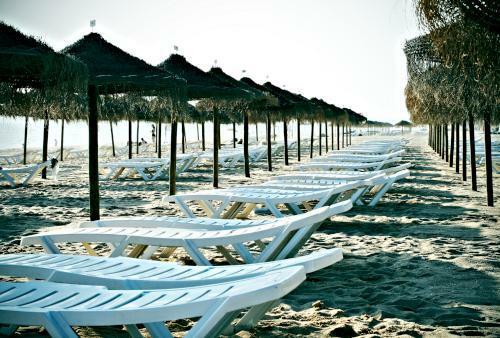 For guests looking for more scenic seaside locations, the Quinta do Lago Beach, an unspoiled beach that belongs to the Ria Formosa Natural Park, is another great beach to visit. Quinta do Lago is a respite from the marina’s urban contours, away from the busy streets, the crowd traffic, and the club music. Here, the sights to see include an estuary, the golf plains, villas, and the endless waves. A hotel of the same name opens up to visitors seeking a more peaceful time near the sea. The resort is also a Blue Flag beach, classified for its water quality, environmental awareness, and safety services. Conveniently located between the towns of Albufeira and Vilamoura and just after Praia da Rocha Baixinha to the west is Praia da Falesia, a beach that boasts of a breathtaking panorama: six kilometres of golden sand backed by cliffs dotted with pine trees. The beach is accessed through steps leading down from a cliff top car park. Due to its size and laid-back atmosphere, Praia da Falesia has become not only one of the largest but also one of the more peaceful corners in Algarve.